Every year, thousands of workers are affected by workplace heat exposure, some even died because of it. There are simply things companies can do to prevent heat illness from occurring, especially during the upcoming summer season. There are four main types of heat illnesses that can happen in the workplace according to the OSHA fact sheet. Heat Stroke: This is a medical emergency; when the regulating temperature system fails increasing body temperature to 104 degrees Fahrenheit or higher. If not treated immediately, it can cause death; hence emergency response must be contacted as soon as possible. Hydration and shade is essential in providing relief to the person involved. Heat Exhaustion: When body temperatures are above 100.4 degrees Fahrenheit, symptoms include: headaches, nausea, dizziness, weakness, thirst, confusion, etc. The best treatment is shade and hydration; if necessary the worker should be taken to a treatment center as soon as possible. Heat Cramps: Pain cause by the loss of body salt and fluid as you sweat. The best solution is to drink water and/or sports drinks every 15-20 minutes. Heat Rash: The most common of heat illnesses, appears as clusters of red pimples or blisters around neck, upper chest, groin, under breast or elbow crevices. It is important to keep these areas drying, and if necessary use powder to increase comfort. Hydration: providing cool drinking water to workers and encouraging them to drink water every fifteen minutes if experiencing heat illness. Be sure to avoid providing beverages with caffeine as they can lead to dehydration. Shade: provide a fully-shaded or air-conditioned area for them to cool down. Rest: allow the worker to rest an appropriate amount of time. 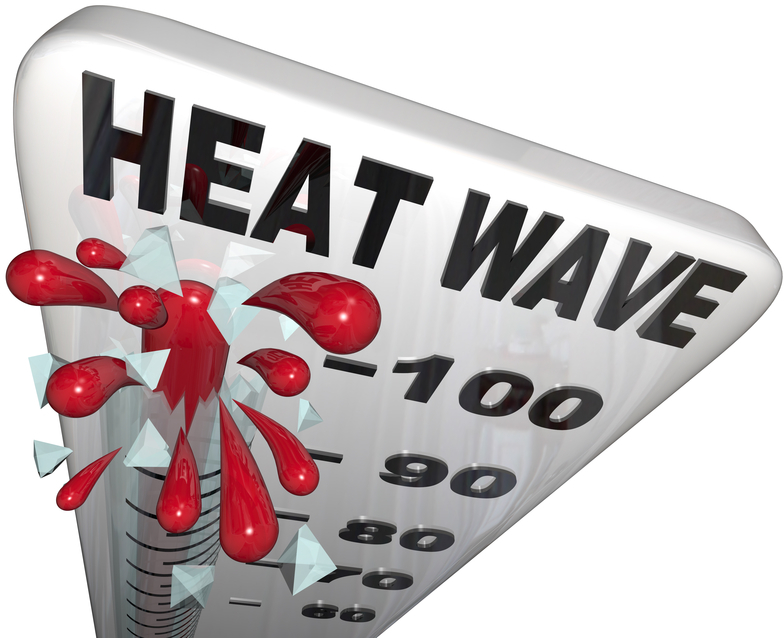 When working on your company’s heat illness prevention plan, it may be a good idea to avoid work schedules that may cause heat illness for workers; i.e. during the summer especially it may be necessary to reschedule non-essential outdoor work for days that the heat index is lower. The biggest thing your company can do is to provide training on heat illness identification, prevention and necessary protocols. OSHA has developed a mobile app that helps calculate the heat index of their worksites. Once the heat index is determined the tool gives you precautions to follow. You can click the hyperlink to download this app for android or apple devises. OSH is hosting a webinar on “Solving Heat Stress Challenges” on May 6th; click the hyperlink to register. Tom Jacques, an independent consultant focusing on navigating GHS changes, will be leading this discussion. He will be showing why and how excessive heat on a jobsite can post a serious threat to workers while examining precautionary measures to prevent this threat. If you are interested in upcoming trainings in heat safety, SafetyPro can resources that your company needs. Click the button below to download to download our free safety training catalog.